You are sure to fall in love with this classic Alyce Paris dress 59997. This off-the-shoulder style features a single cap sleeve with a solid ruffle overlay. 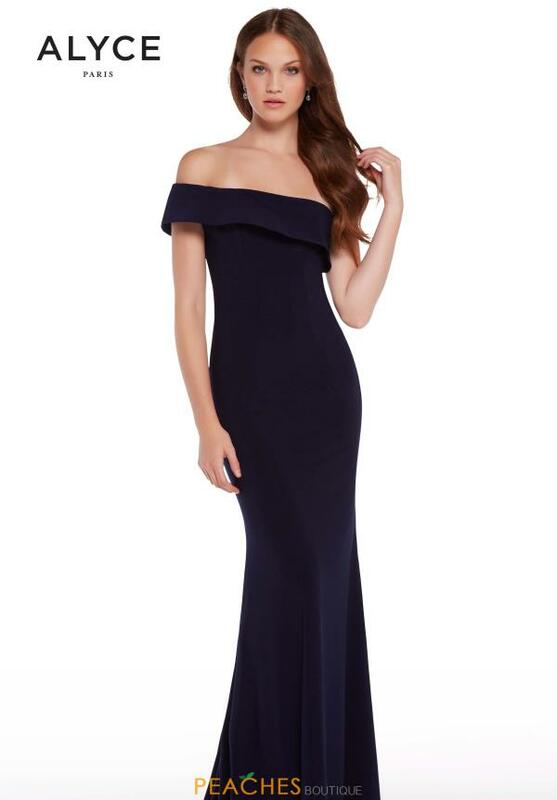 The strapless neckline is a unique choice for this jersey fitted ensemble. Shop for more top designers when you stop by Peaches Boutique in Chicago.